The laser gavel pounds. The Robailiff boots up. Somewhere, a gong sounds. Star Court is now in session. 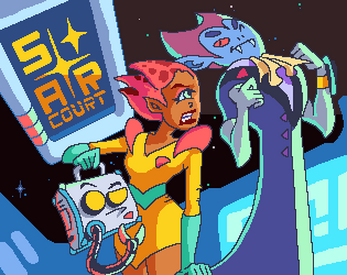 Star Court is free to play -- for a tip of at least $1, though, you can download a desktop copy and the Twine source file. Cover illustration by Christina-Antoinette Neofotistou.